I was in St Joseph Missouri for Thanksgiving. 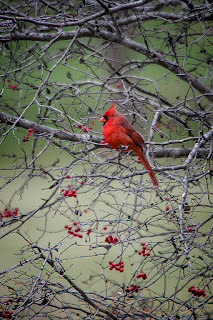 My in-laws have a lovely Hawthorn tree which gets these red berries that the birds and squirrels seem to love. 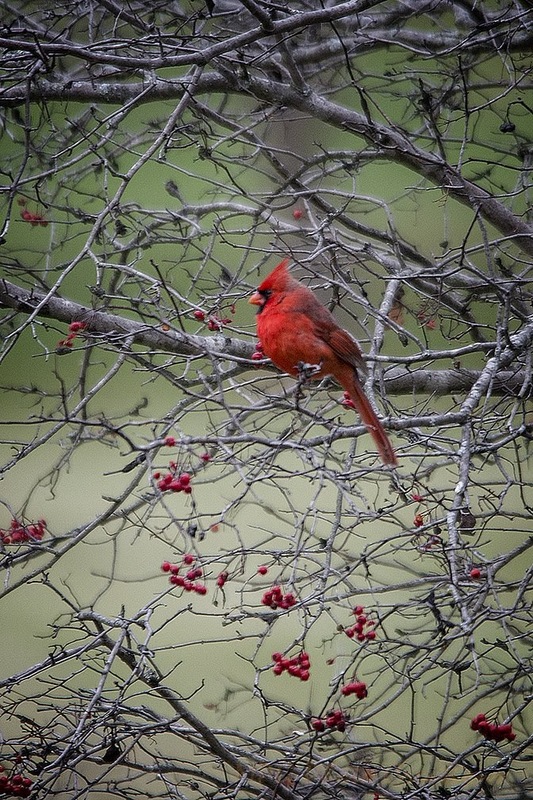 There weren't many left but I managed to capture this male Cardinal sitting among the berries looking rather picturesque.